The TR360 stand-on spreader and Sprayer. 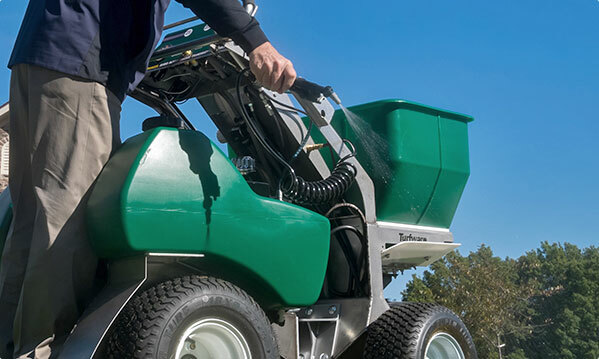 Introducing the TR360 commercial ride-on spreader from TurfWare, a revolution in commercial spreaders designed for reliability, durability, maneuverability and unparalleled hill and slope performance. The TR360 stand-on spreader delivers the industry’s highest operator satisfaction, efficiency and productivity. 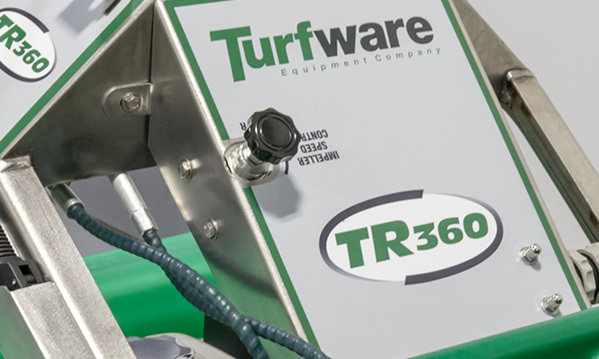 TR360 features simple, intuitive controls that provide superior accuracy and control of the product application. Each patent pending feature is designed to be durable, operator friendly and engineered for accurate flow and uniform spraying/spreading. Our large capacity, dual hopper design allows for two materials for shade and full sun lowering your overall product cost. The TR360 is designed for durability in a caustic environment with rugged, stainless steel construction and durable, dependable components. Each wear component utilizes engineered materials specifically designed to last up to five times longer than traditional wear components. 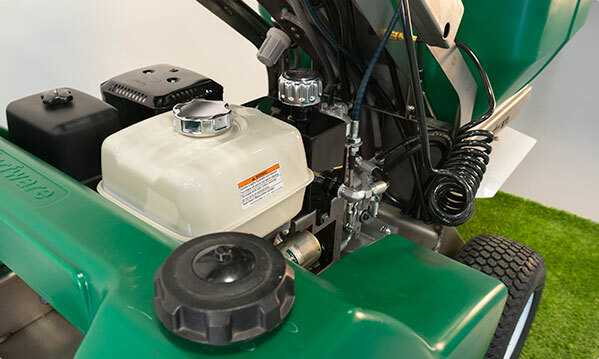 Our overall design provides easy access for routine maintenance. The TR360 manufactured at our plant located in Stow, Ohio. 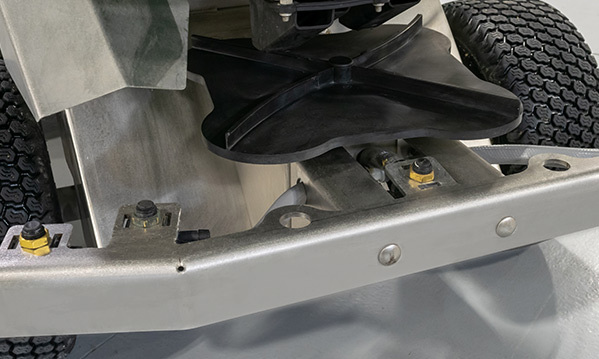 In-house design and manufacturing is the key to the quality, innovation and attention to every detail that you’ll find in the TR360 spreader. 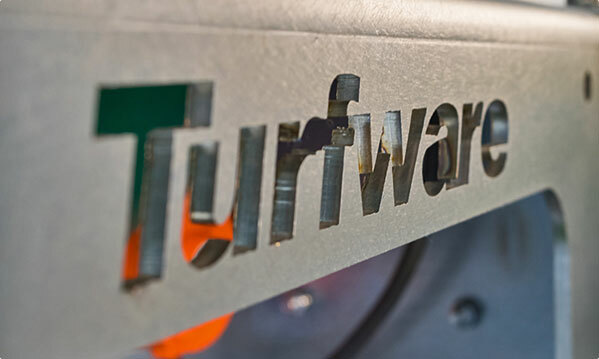 We utilized the latest, state-of-the-art equipment for laser cutting, forming, machining and fabrication in addition to vacuum forming of our patent pending hopper lids. 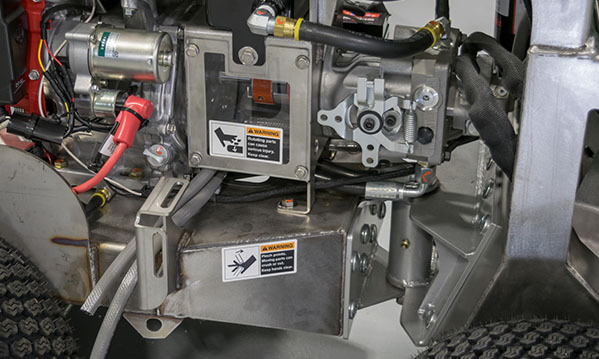 Instant command hydrostatic fingertip operator controls NOT a wimpy gear drive transmission! 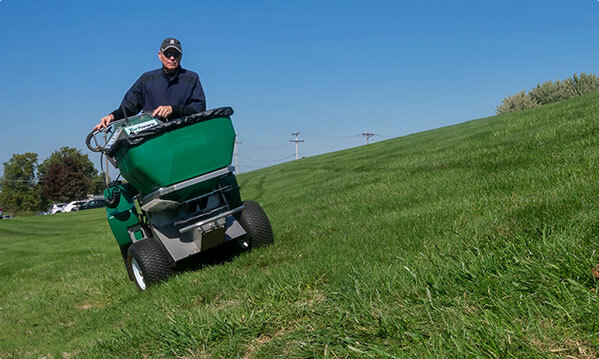 If you’re thinking about switching from a walk-behind to ride-on spreader or upgrading your current stand-on spreaders, take the TR360 for a test drive or watch our hill performance video. 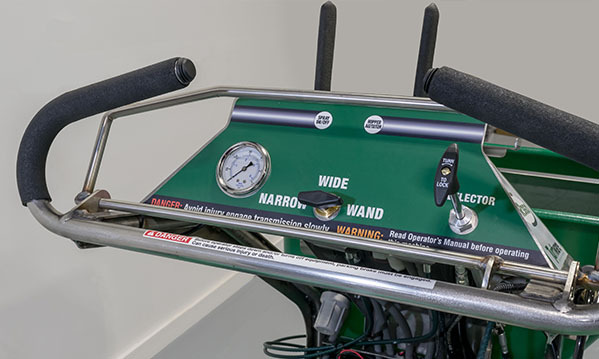 Electric on demand REMCO 2.2 gal per minute spray pump. Electric on demand hopper agitation. 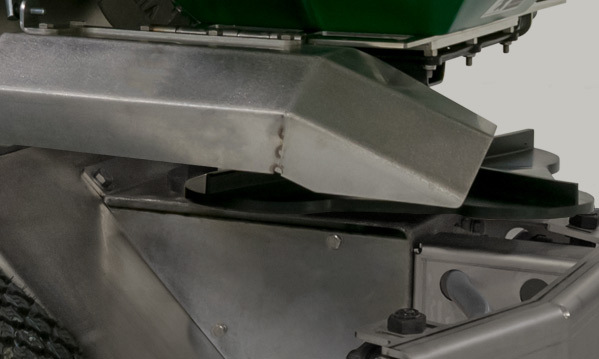 The rotomolded dual hopper can be compartmentalized for two different products. Unparalleled hill climbing and side hill stability. 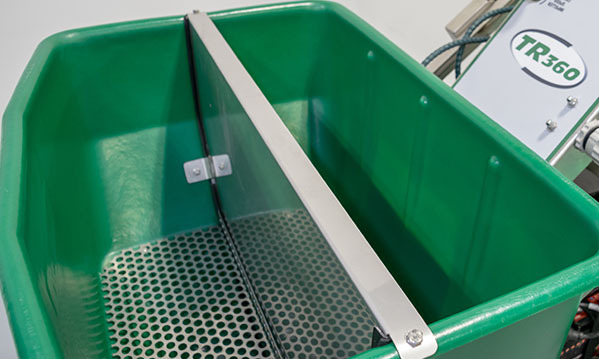 Instant command hydrostatic finger tip operator controls. NOT a wimpy gear drive transmission! 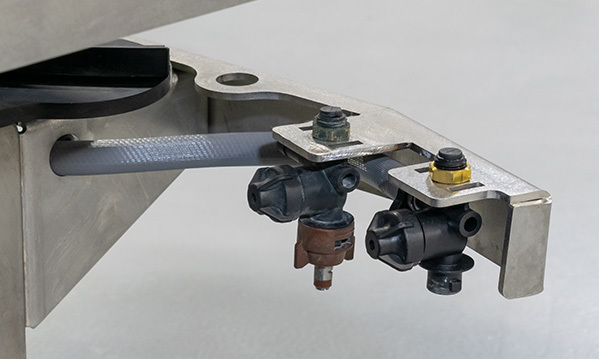 Triple spray nozzle assembly sprays straight down eliminating blowback and overspray. 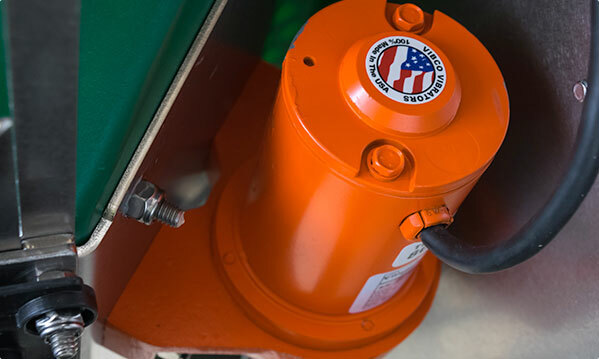 Patent pending spreader impeller unit manufactured from wear-resistant engineered composites. Easy access weed control sprayer. Simple design allowing full access ability for care. Hydrostatic differential plumbing circuit. NO BELTS. NO GEARS. NO PULLEYS. Patent pending pivot point assembly. On-demand product flow booster assembly. 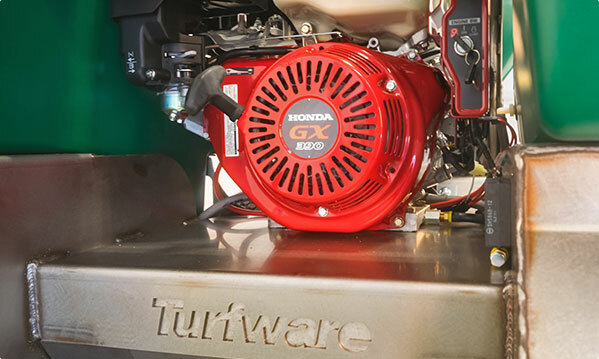 Easy access to variable impeller speed control. 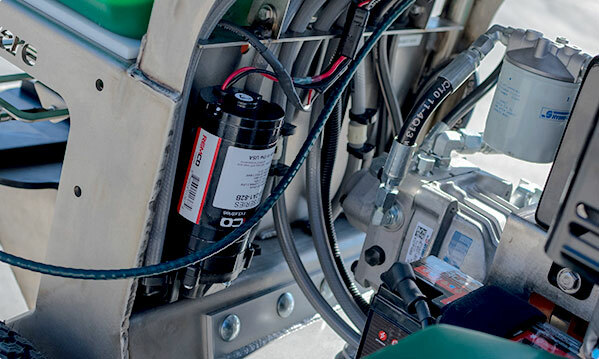 Engine, pump coupler, hydraulic reservoir and control cable assembly.